This lead free water connector is the reliable choice for your faucet installation. Eastman 3/8″ Comp. x 3/8″ Comp. 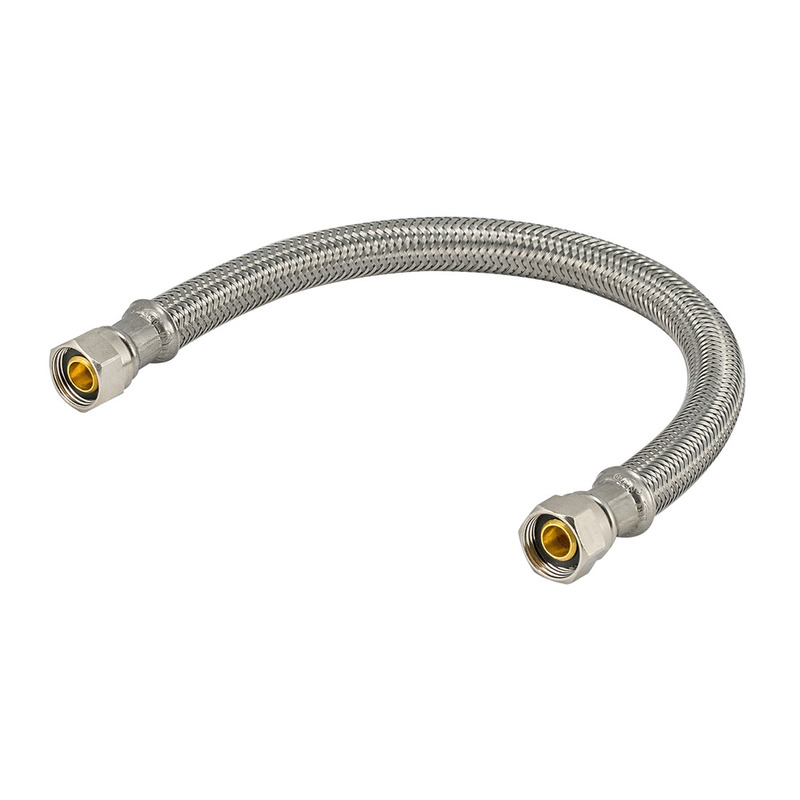 water supply line features a non-toxic PVC core, a multi-filament braided nylon reinforcement, a clear vinyl outer shell, and a grade 304 stainless steel braided exterior that is designed to prevent kinking and crimping. The flexible supply line resists corrosion and is easy to install. This lead free water connector is the reliable choice for your faucet installation.